I'm a lover of pandas, plaid clothing, and good eats. My friend, Ingin Kim, once described me as a pool, "there is a deep end and a shallow end." I guess what that means is I'm a public intellectual/academic with the heart of a social justice warrior, and the soul of a tender, dandy boi who likes pop culture, entertainment, and 80s New Wave music. I'm the youngest child of a Chinese, immigrant family and a queer woman of color who doesn't conform to gender norms. A community historian who documents the lived experiences of those who have been erased or marginalized from history and makes sure the mainstream public knows our stories. 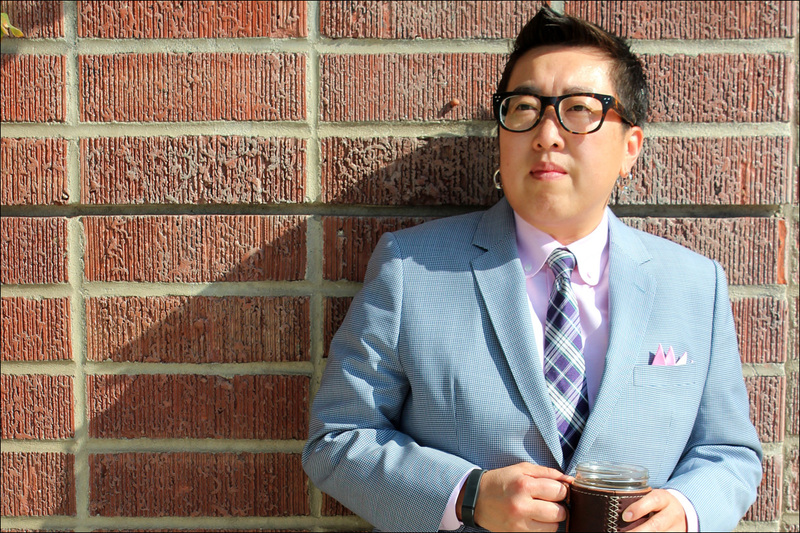 Plus, a newbie host and producer of the podcast, Historically Queer: Hidden Stories Revealed. Follow me @HistoryQueer on Twitter. Currently I'm a Soros Equality Fellow working on a digital media project where I'm creating a podcast and a digital archive on lives and experiences of LGBTQ people of color. I also have a side hustle as a professional life coach and a nonprofit consultant. Basically, I'm committed to working in nonprofit, philanthropic, higher education, and creative sectors to make change in the world. My plate is also filled with community, volunteer service and I'm on a couple of nonprofit boards and the LA city commission on the status of women. I'm all about "both and," intersectionality, and bridging communities and sectors. Much of my professional and personal life has focused on ending injustices against women, people of color, LGBTQ people, and working for social change. I also like to have fun while doing this serious stuff and don't always succeed at this balancing act. "Look good, do good, be good, and eat good" is a motto I try to follow. Multiple oppressions and injustices in U.S. society and the world. White supremacy, patriarchy, racism, sexism, homophobia, transphobia, heterosexism, and xenophobia and all of their interconnections. That's a lot to be angry about and it's overwhelming. That's why I take a few deep breaths and think about all the people doing good in the world to keep me sane and in check. Oh yeah, I also get upset when my favorite TV shows get cancelled and I have to find new shows to watch.